It’s not really a huge surprise that I kind of love the weird: weird architecture, weird geology, weird non-fiction topics to obsess about. 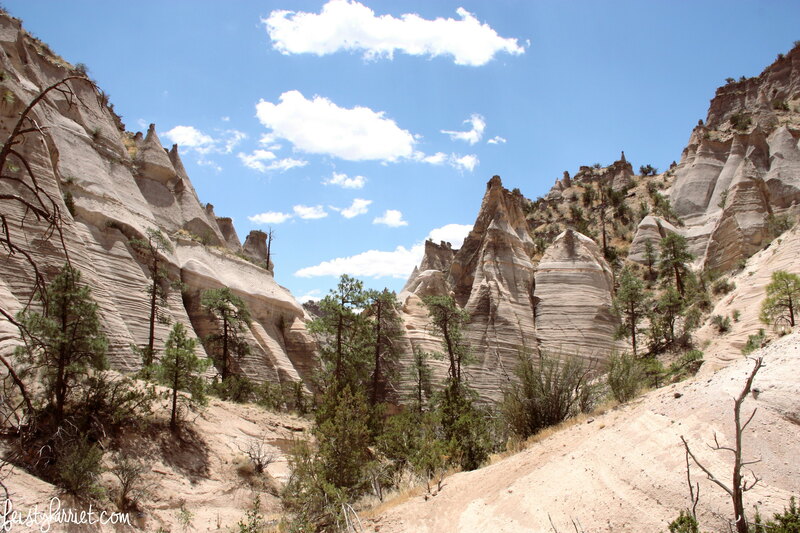 When I read about the Tent Rocks in New Mexico I knew we would be stopping to explore, and this was before I even knew what they looked like! 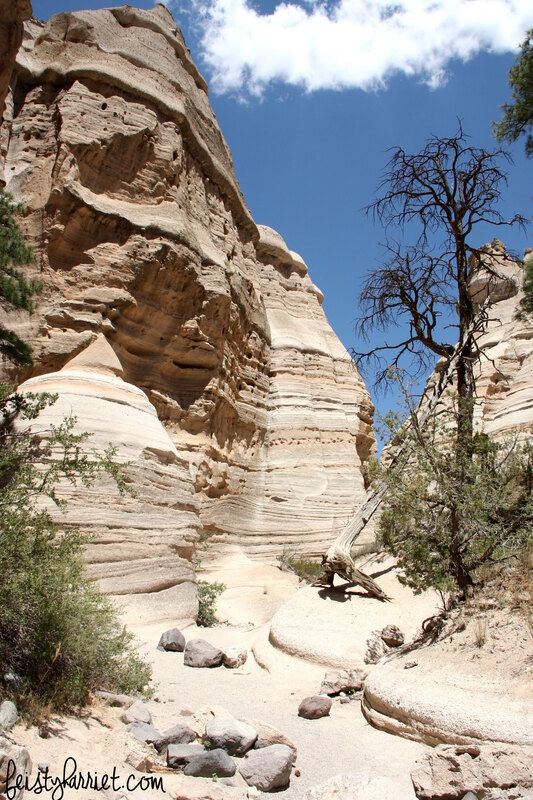 Creamy, layered sandstone, slot canyons, pointy tents (or mirage-like ice cream cones, depending on how hot it is and how long you’ve been hiking), with a path through the whole thing and up to the top of the mesa for a better view. Mr. Blue Eyes and I lathered up in sunscreen (it was 90-something degrees…not the best day for hiking! ), grabbed more water, and started hiking. At first, the trail was super flat and meandering, we passed old people and babies who had stopped to enjoy the shade or go exploring. 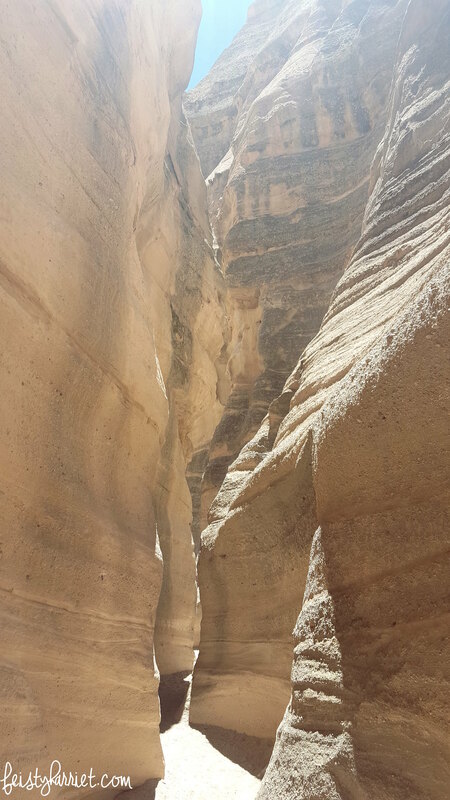 We kept wandering….and then we hit the “steep” part. 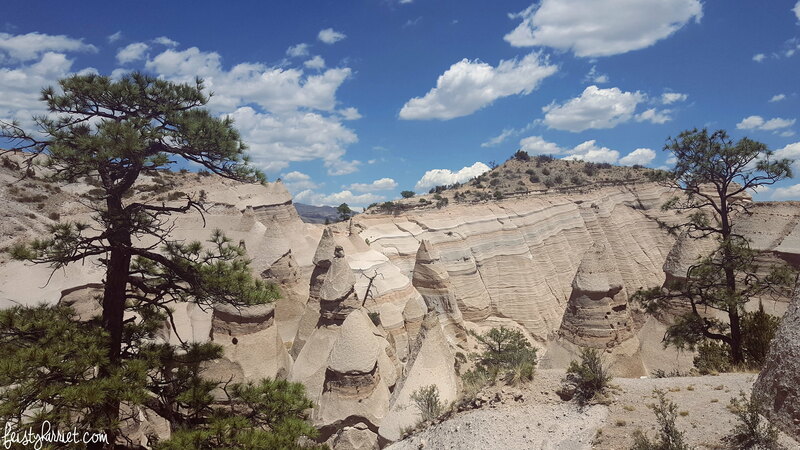 There was very little shade and I was a sweaty mess, but–nerd that I am–there were MORE TENT ROCKS TO SEE! So we kept going, zig-zagging up the cliff, scrambling at places, to get to the top of the mesa and look down into the “campground” of tents we’d just wandered through. I would love to visit in the early morning or on a cool spring evening, I bet the sunrise/sunset on those rocks is just stunning. 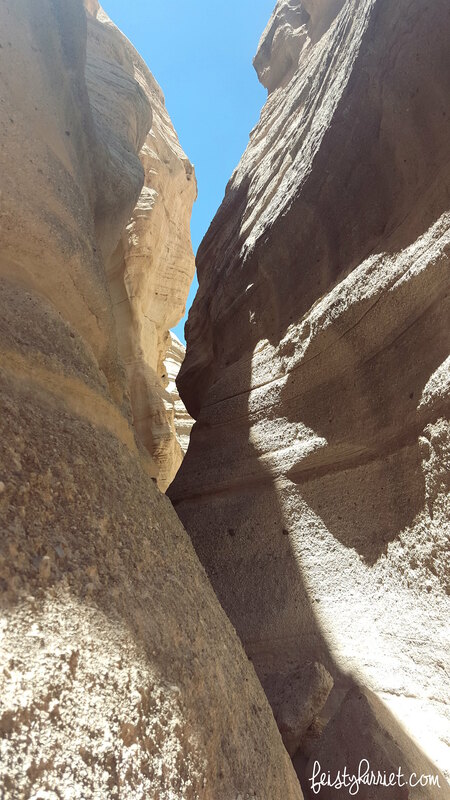 As it was, I was impressed by the sandstone formations, all the layers, and the slot canyons. Yay, nature! This entry was posted in Far Off Places, Feisty Harriet, National Park and tagged National Monument, New Mexico, Travel, Traveling by Feisty Harriet. Bookmark the permalink. Wow. Those are some amazing views/photos! 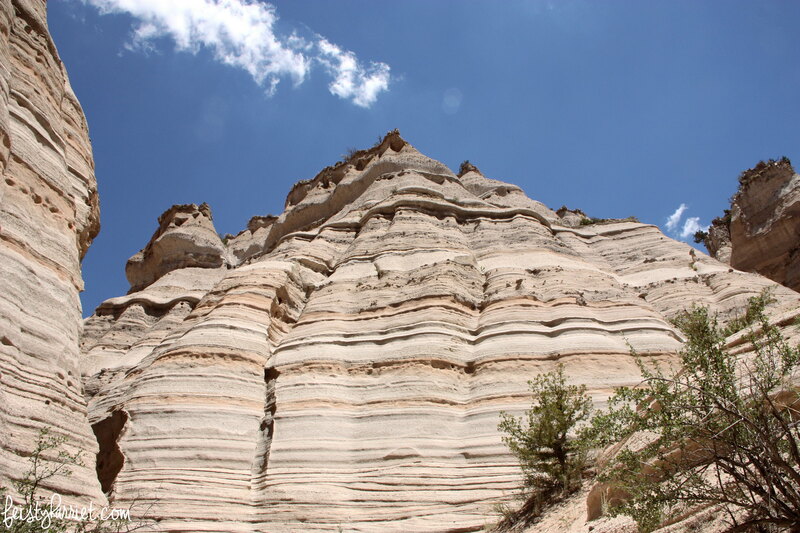 I’m super snobby and kept thinking “I wish these rocks had more color in them so you could see the formations better…” Ha! I’m such a biased jerk when it comes to red rock sandstone vs. anything else. So impressive. Nature is amazing. oh my goodness these shots are so impressive! looks like a beautiful place! Thank you! It was pretty dang cool!